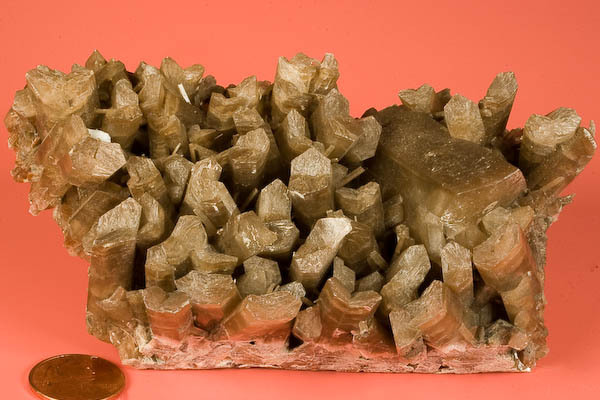 Comment: Uncommon on the market - a plate of Austrian selenite twins, to 5 cm (but most more like 3 cm). 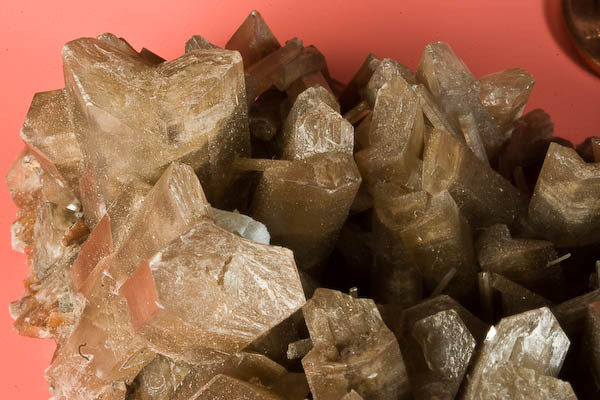 The crystals are translucent, with a brown/tan color reminiscent of certain Bad Ems pyromorphites. 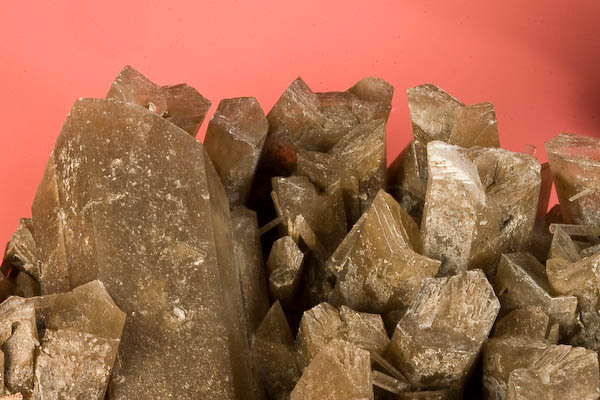 The specimen is in FINE condition, despite the fragility of selenite crystals.